Beach House Vacation Rentals, Apartments for Rent and Cabin & Condo Rental Listings! If the 400 miles of shoreline and seascapes don’t convince you to come for a visit, then our Rhode Island vacation rentals will do the trick. To be more specific, our beachfront vacation rentals by owner… because with more than 100 beaches to explore, you’ll want to unpack your bags at a home as close to the water as possible! Then, when you tire of the sun, sand and seaside, borrow a bike and roam the trails that wind through the massive Rhode Island woodlands. Go canoeing or fly-fishing on a lazy river. Take the kids to a baseball game or to the zoo. Push yourself to the limits, do it all, because you know that at the end of the day you can flake out in your comfy, quiet vacation rental home. Enjoy the proximity to South Shore Beach, fishing, boating and biking when you book Little Compton vacation rentals. Have a clamboil on your deck and savor that fine vintage you picked up on your visit to the nearby winery. Now, sit back, relax, and enjoy the fact that you’re not cooped up in a hotel. Sold on vacation rentals? We thought you might be! Click to view our Rhode Island vacation rentals now and save! Think Vacation Rentals welcomes you to our little slice of paradise here in Pismo Beach!Located along the Central California Coastline, half way between Los Angeles and San Francisco,Pismo Beach is a seaside community on the Pacific Ocean. Pismo Beach is famous for its long stretch of beaches where camping, driving and off roading is a thrill. Pismo Beach offers a host of fun-filled recreational activities. Take a fun ride on the dunes in a Hummer. Rent an ATV, go horse back riding, surfing, surf fishing, jet skiing or kayaking.If that’s too much excitement for you just take a romantic stroll along the beach or on the 1200 foot Pismo Beach Pier and observe the beautiful seascape and breathtaking sunsets. Pismo Beach holds a variety of special events including one of the largest car shows in California with over 600 custom rods on Fathers Day weekend, 4th of July fireworks display off the Pismo Pier, Mardi Gras, Jubilee by the Sea, Monarch Butterfly Festival, Band Review, Western Daysand Dixieland Jazz Festival, to name a few. Think Vacation Rentals offers wonderful accommodations. Our attention to detail in each of our holiday rentals is of the utmost priority. We want to make sure that your visit is one to remember. Whether traveling for pleasure or in need of a long term residence, we look forward to your visit with us in one of our beautifully decorated houses,cabins and condominiums or cottages. 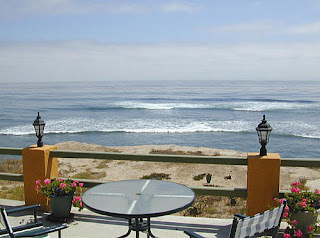 So, if you’re looking for a fun filled vacation, let the professionals at Think Vacation Rentals,the leading Pismo Beach vacation rentals company, put the FUN in your holiday.Come up for a breath of fresh air and experience the friendly surrounding atmosphere of the Central California Coast of Pismo Beach! Think Vacations is vacation rentals. We have the largest selection of florida homes for rent on the planet, all directly from property owners. No discount packages can beat the price or comfort of our vacation rentals in florida. 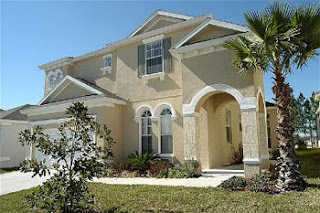 These florida vacation rentals are perfect for the florida keys, golf vacations and orlando florida. Whether you are looking for a hot florida vacation or one of the many relaxed florida vacation spots, our villas and condos all along the 787 miles of florida beaches stretch from destin florida all the way down to the florida keys. No other site can provide you with better discount Think vacations. Orlando is a bustling area famous for being the home of Walt Disney World and Sea World. But, there are also state parks to explore, nature preserves, museums, gourmet restaurants and unique shopping to enjoy. The Orlando area also has one of the highest concentrations of lakes in the state, large and small, and many of them right on Walt Disney World property. This makes boating a very popular pastime in Orlando. Professional golfers have been coming to Orlando for decades, so not surprisingly, the area offers some of the best golfing anywhere. Most people, however, do come to Orlando to spend time at the many theme parks in the area. Just of few include Magic Kingdom, Epcot, Disney’s Animal Kingdom, Universal Orlando, Cypress Gardens and Bok Tower Gardens. Water Parks in Orlando include Blizzard Beach and Typoon Lagoon. To avoid crowds, visit the parks first thing in the morning or late afternoon. Dining in Orlando is abundant, and simply more than you can sample in one visit. The vast variety of accommodations includes cabins, Apartments, Condos, bed & breakfasts, vacation homes and cottages and campgrounds. If shopping is a favorite vacation activity, Orlando will not disappoint you. Disney and Universal have their own shopping “theme parks,” and Winter Park’s Park Avenue has unique shops and bistros with an eclectic feel. Orlando has something for everyone and it would be quite easy to spend weeks here and not see everything. Planning your family getaway? You’ve picked the location for your dream vacation, now it's time to choose your ideal lodging. Forget about staying in a hotel - Consider staying in a vacation rental - the perfect lodging option no matter your style or budget! Vacation Rentals, home rentals and villas provide a wonderful home-away-from home atmosphere perfect for families. They offer plenty of space and usually offer separate bedrooms for added privacy and comfort. Look for a home or a lodge that offers a fully equipped kitchen. Who wants to pack utensils, pots, pans and plates? Having a kitchen is also good for a budget-friendly vacation - you won’t have to pay to go out to eat everyday! Instead, spend time cooking in the kitchen with your loved ones. With that extra cash, you have more money to spend on local attractions, shopping and events. Stop paying for multiple hotel rooms! Check and see if the living room sofa is a pull-out sofa bed. This will give you additional sleeping for more guests so you can all stay together. Unless you are looking for an “unplugged” rustic retreat, choose a vacation rental that offers the comforts of air conditioning in the summer and central heat in the winter. The last thing you would want is to be uncomfortable on your relaxing getaway! Some vacation rentals are located within a resort setting; look for these if you want to reap the benefits of on-site amenities like pools, fitness facilities, recreation rooms, children’s playgrounds and more. If you want additional comforts of home, look for other deluxe perks including washer and dryer units, entertainment centers, fireplaces, soaking tubs, and wireless Internet access. These additional amenities will make you feel even more at home! Finally, remember to look for a vacation rental that is close to the places you want to check out while you are on vacation! Discover for yourself why more and more people are choosing vacation rentals as their lodging of choice. Research your options and book a rental today! Long lazy days filled with frolicking on the beach, cook-outs on the grill, intermittent breaks in the day for shopping, golf and horseback riding…This is exactly the kind of vacation that large numbers of large families seek to secure when it comes time to get everyone together in all their loud, colorful, frenetic glory. If you find yourself in the position of being in charge of planning an event such as this, consider Forest Beach, and consider a vacation rental. This combination of factors is sure to spell success; just ask the millions of travelers who visit Hilton Head, this small yet packed-with-punches barrier island off the coast of South Carolina, every year. Forest Beach is just one delightful corner of this place of a thousand possible memories, and will surely make for a trip that everyone ends up thanking you for pulling together. The key factor will be the lodging situation, so getting this under control should be your first priority. Start by perusing the dozens of listings in Forest Beach. The southeast corner of the island is a good place to be as there are plenty of shops, restaurants and activities within walking or biking distance from your future vacation rental. It’ll be nice to park the car in the driveway and then pretty much forget about it for a few days as you reacquaint yourself with the wonderful, healthy feeling of using your legs to get around. Breathe deeply, forget about working, commuting, and picking up the dry cleaning – you’re on vacation, and you deserve to enjoy it. Forest Beach Vacation Rentals range in shape and size but share a few traits in common; they are comfortable, unique and accommodating of all types of groups. Sometimes couples or smaller collections of folks decide to come to Hilton Head, but often it’s the larger reunion-type groups who make their way here. Thankfully there have been huge beach houses built all over the place that can comfortably contain eight, twelve and even twenty people. Bedrooms galore, common areas and big yards, not to mention close proximity to the beach, can all combine to make everyone pretty darn happy. Imagine all the cousins creating a slumber party atmosphere as they fold out sofa beds, hop into bunks, and stay up giggling long into the night. The adults can meet on the patio for a nightcap and catch up on old times, and then in the morning the mood will be light as everyone pours bowls of cereal in the sunlight-filled kitchen before packing up a few necessities and heading down to the beach. Late sleepers can take their time, shoppers can hit the town, and adventure-seekers can call to book a parasailing session. The combinations are endless, and everyone is sure to end up doing what they want. The best part about staying under one roof is the meeting back up. Cooking a meal on the grill or playing board games will allow stories to be shared and tomorrow’s plans to be hatched. Snacking, movie watching and just talking will become priceless memory-making affairs inside the walls of your vacation home, so be sure to enjoy these fleeting moments of family togetherness. Sound like what you’re looking for? Start perusing the rental listings today. You never know what special deals will be up for grabs or if a certain extra-hot property will catch your eye before someone else’s. Let the vacation process begin, and prepare for a fun time to be had by all. Let's be honest, when it comes to taking a beach vacation all that matters is that the weather is fine, the sand is clean and sugary, and the sun shines cheerfully all day long. Where exactly this beach is located doesn't really matter, especially if you're lucky enough to have a cozy and well-equipped vacation rental at your disposal. While you're at it, though, it doesn't hurt for a place to be abundantly brimming with activities, constantly offering the choice to head out and play or just lay low. If this sounds like the kind of trip you're looking to take and you need some direction, consider setting your sights on Gulf Shores, Alabama. If you weren't aware of it, the coast of Alabama is actually a bustling little region filled with marinas, restaurants, parks and vacation rentals. Other places tend to receive more attention and are overall better known, but like we said before, does it really matter where you are, as long as it's beautiful and beachy? You could be on the surface of mars and pay it no heed as long as there was space to unroll a towel and stretch out with that thrilling novel you've been longing to crack open. Unpacking your bags for an extended stay within the walls of a vacation rental will add an extra helping of enjoyment to a trip like this. An actual home with bedrooms, bathrooms (notice the plural form), a living room and a kitchen will invite you and your family to unwind and recharge easily and completely. Instead of running around this entire vacation as you've sometimes been known to do, adjust the paradigm. Staying in for a night of card playing, sleeping until you wake up naturally, and spending the entire day in nothing more than a swimsuit are perfectly acceptable ways to while away your vacation, so expand your definition of what a getaway should be. Gulf Shores does have nature tours to take part in, shopping districts, golf courses and recreation centers, but don't feel that you must see or do any one thing. The theme of this trip is "go with the flow," so after consulting your inner barometer, see what the future holds. It may be to put on your shoes and hit the town, grabbing an ice cream cone with the kids and pausing to listen to a folk singer. Or, it could be to create an intimate atmosphere at "home" with the people you love the most. The backyard grill, the spacious kitchen, and the screened in porch will all encourage a fun and casual meal to take place, you know, the kind you're always trying to create on regular days. You'll find that achieving lofty goals like family togetherness, relaxation, and getting a good night's sleep will come pretty easily here. The power of high ceilings, walls of windows, tons of closet space and added bonuses like DVD players, washers and dryers, and board games can't be underestimated. These small delights mean all the difference between a regular trip and a truly privileged one. Your vacation home, be it a luxury condo or a beach front bungalow tucked away from the crowds, will surely rise to the task of taking you far away from your usual worries and cares. If you're thinking about money right about now, and how only a certain kind of person is probably able to afford making these scenarios into reality, don't be misled. Start investigating as soon as possible, and don't be surprised if you stumble upon some great bargains. All kinds of people take advantage of vacation rentals, and most of them are far from being millionaires. If you find yourself mentally picturing an idyllic scene involving you and your family happily frolicking on the beaches of Alabama, or if you're at least hoping to find out more information, go for it. Vacations don't plan themselves, so put in a little effort now in order to be handsomely rewarded later. Go online to peruse the assortment of Gulf Shores Vacation Rentals, and make your merry way to the shore sometime soon. Rosarito Beach. Some people call it south San Diego, some people call it their favorite vacation destination, but either way there’s no denying that this sun dappled, fun-infused spot that has shown many visitors an excellent time. And, judging by the number and assortment of vacation rentals scattered across the land, it’s possible to achieve an experience of utmost quality, privacy and convenience. The ingredients are here for a successful trip, now it’s up to you to bring it all together. Start by going online. If you’ve never planned a trip or taken advantage of a vacation rental, you could be feeling intimidated right about now, but there’s really no reason for that. These days, all it takes is a little time and an internet connection to become well-informed and fully prepared for what your vacation will bring. Check out pictures, descriptions, testimonials and maps and point yourself in the direction of a stellar holiday. But back to Rosarito Beach. It once had the reputation for being all about the upper class, but today it is affordable and accessible to all types of people. It maintains an air of top-notch entertainment and friendliness while giving travelers the attention, choices and respect they deserve. This is a place that knows how to show people a good time, something you’ll come to believe firsthand after just a few minutes here. Beach activities like snorkeling, jet ski rental, sunbathing and strolling along the shoreline will surely satisfy your cravings to relax to the tempo of the rolling tides. Something about being near the water has a calming affect on just about everyone, so if you’re feeling overworked these days give yourself the chance to properly unwind in the choicest of settings. Pick a vacation villa right near the water to take advantage of the sights, smells and sounds 24/7. It’ll do your mind and body good. From freestanding cottages to resort-style condos, the rental properties in Rosarito Beach are varied yet consistently attractive. Depending on the size of your group and everyone’s interests and tastes, you could end up settled in a modern apartment or a spacious casita, a cute bungalow or a beautiful beachside home. Again, all it takes is a little time and energy to explore the offerings online, and many people actually find this to be a pleasant experience in itself. Rosarito Beach has bike trails, tennis courts, golf courses and hiking paths to keep the endorphins flowing. Staying active will justify all the wining and dining you’ll do, too, so work up a sweat and then reward yourself without feeling guilty. Of course, your vacation rental will likely have a full kitchen, so if whipping up a casual meal at home or even just appetizers or a quick afternoon snack sounds like a good idea then you’ll be all set. Little things like this will add immeasurably to the overall trip, taking it from ordinary to quite impressive. The bottom line is not to feel nervous about planning a trip Baja California, or anywhere else for that matter. Peruse the available Rosarito Beach Vacation Rentals, investigate the area’s activities, talk to your fellow travelers to coordinate schedules, and above all prepare to let go once you’ve arrived in vacation paradise. It doesn’t have to be stressful to go on vacation, so try your hand at planning a wonderful trip while breathing deeply and envisioning the best. Use the tools that are readily available, and have a good holiday from beginning to end.